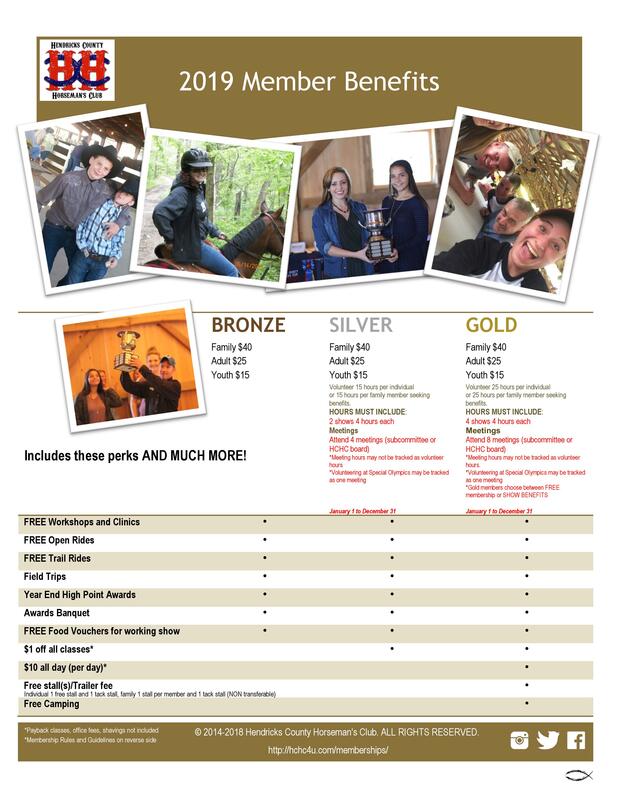 Joining Hendrick’s County Horseman’s Club is easy! 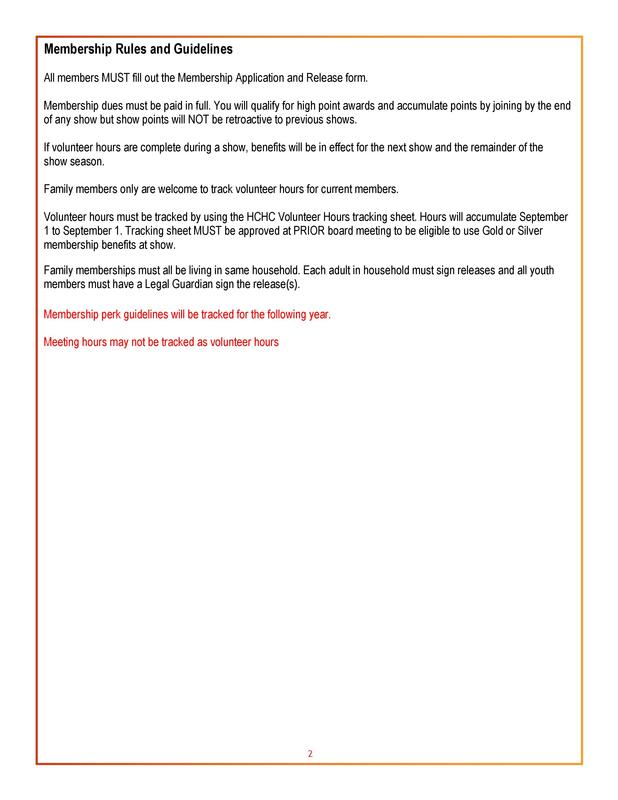 Print this form to track your volunteer hours, meetings and events! Track from January 1 – December 31 of current year. PLEASE update your Kroger Community Rewards to benefit HCHC ASAP! This costs absolutely NOTHING and you still earn all of your FUEL REWARDS! Financial Reports and Meeting Minutes upon request. The content contained in this website is the property of The Hendricks County Horseman's Club (HCHC). All content is subject to copyright. HCHC takes seriously its responsibility to protect its intellectual property, including without limitation its trademarks, service marks, and copyrights. No information on this website may be reproduced in whole or in part without prior written consent of HCHC. Come have fun with us! Showbill coming soon!